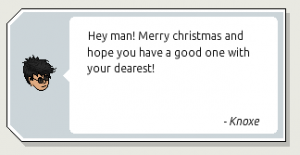 Hello Habbos! Welcome to Madi’s Hall of Fame! Today, the first door opens! If you want to explore what’s behind it, hit that “read more” button! Polo.’s Humble Collection – Polo. Polo. 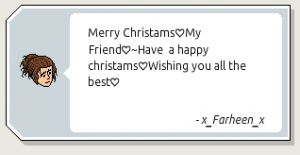 is a 2009 Habbo with an achievement score of 15844 achievement points. This room is breathtaking! 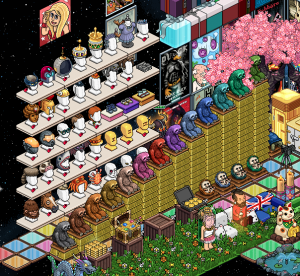 There’s so many rares in here, many gifts and a vast amount of colour! Ooo I see an oversized scarf; can I take it? Now let’s look at some particular areas of the room! You can tell that Polo. is quite rich: not just by the rares but also by the amount of goldbars he has on display! There are 182 goldbars – 9100c! That is a huge amount of credits! That adds up to a further 4680c! Let’s move onto something very exciting and eye-catching! The rest you may be able to discover when you go into the room! 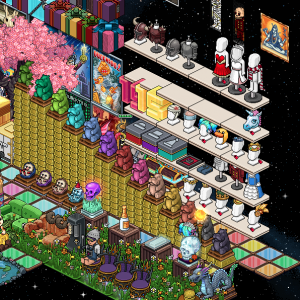 As well as all the amazing furni in the room, I feel that we should appreciate some of the gifts sent in by others that make this room even better! These show the best in some Habbos, and it also shows how nice Polo. is, with all the ways he has helped them! 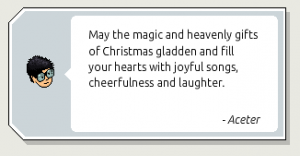 To go to the room on Habbo, click here! Don’t forget to sneak a little like on the room and this article! Habbox.com has some amazing articles, goodies and an awesome radio hosted by the HabboxLive team! 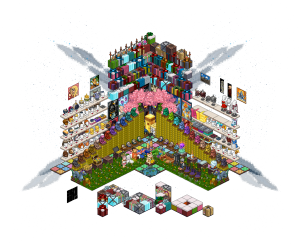 Habboxwiki.com is dedicated to bringing you the latest info on the Habbox Community, furni, and Habbo/Habbox History! 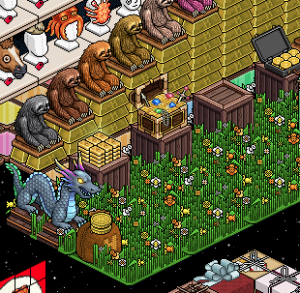 Habboxforum.com is the place for gossip, discussions and competitions! I love the gifts!! I have a gift room too. It’s so nice to keep those memories.